An Adviatech™ company. Celebrating 7 years! Get and in depth look at legal news & issues from our team of journalists. Chris Wilkerson has been in the news business for about 17 years. Most recently, he was the editor of Greater Wilmington Business Journal in North Carolina where he led the paper into the digital age helping to develop its website and launching a daily afternoon email news update for the paper’s readers. He was a special sections editor for Atlanta Business Chronicle where he covered law and accounting, banking and finance, real estate, health care and technology. 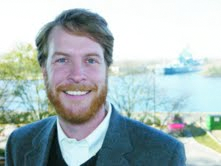 Chris has worked at the Atlanta Journal-Constitution, the Centre Daily Times in State College, Pa., and for a handful of small-town newspapers across the South. Chris has a journalism degree from Auburn University, where he was the editor of the weekly campus-focused newspaper, The Auburn Plainsman. He is the Politics contributor for the SEOLawFirm.com News Center and works with clients in Immigration Law, Family Law and Veterans Disability Law among others. Stay up to date with SEO | Law Firm News Center feeds. Get updated with new exclusive articles and features.